We’ve added two new pricing options in addition to the popular “Premium” plan. The new Professional and Enterprise plans, include up to 10 and 50 screens, respectively. In addition to more screens we’ve added more features, some of which are detailed below. Click below for the full plan comparison. 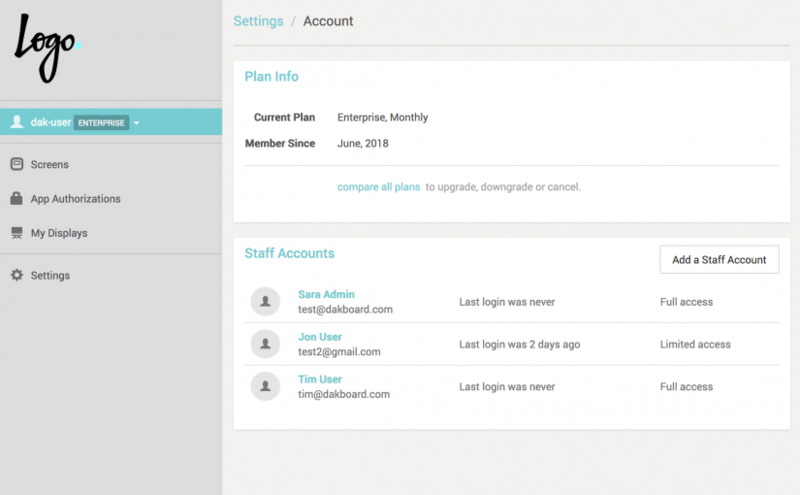 DAKboard now offers the ability to create multiple user accounts within a single “main” account. This is a simple way to allow others at your organization access to edit, update and manage various parts of DAKboard. 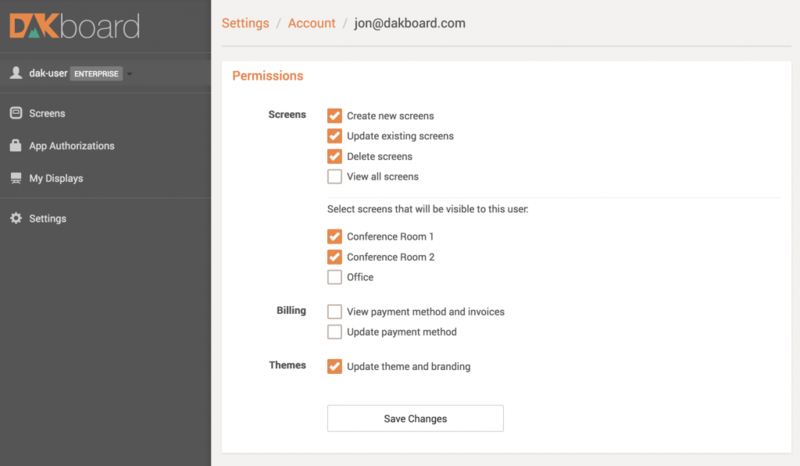 For each user, DAKboard allows setting specific permissions. Grant billing access to your accounting department. Give individual users the power to edit their own screens and set who can create and delete screens. And last, but not least, we’ve added the ability to customize the admin interface by changing the colors and adding your own company logo. Choose from a dark or light theme, set your company color and add a logo. Your users and clients will be impressed when they login with the new multi-user feature and see your logo and colors!